​​U.S. 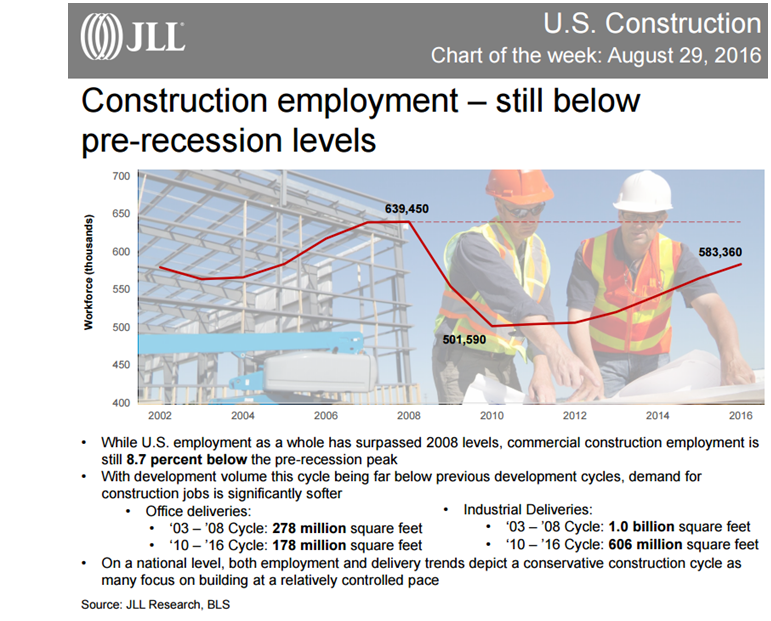 - JLL has just released the U.S. construction “COW” (Chart of the Week) and we want to share it with you! ​Also check out the Texas Workforce Commission​ for more on Employment.